Niaouli –(Melaleuca quinquenervia) – Niaouli essential oil has historically been used in medicinal preparations, cough drops & mouth sprays. The bruised leaves steeped in water was drunk to relieve headaches & address colds and general sickness. 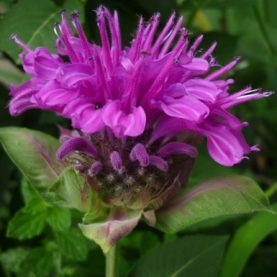 Recommended for bronchitis and sinusitis, it has expectorant, antiallergenic and antiasthmatic properties. Research has shown that it exhibits antimicrobial actions in vitro. Boosts the immune system and protects against the flu, bacterial & viral conditions. Lemon(Citrus limon) –Lemon essential oil is an immune system stimulant, circulatory system tonic, it tonifies the blood vessels & broken capillaries. A powerful antimicrobial, & antibacterial, Lemon is useful in treating colds, flu, bronchitis & asthma. It lifts the spirit and helps with mental fatigue. It helps to purify the blood as it stimulates the production of red blood cells and it supports the regeneration of white blood cells. Research indicates that d-limonene, a major component of Lemon essential oil, has anti-tumoral properties. Benchmark Thyme (Thymus zygis Loefl L) - Benchmark Thyme is a unique blend of ethically grown Thyme cultivars, carefully chosen to provide the most effective composition of anti-bacterial aroma-chemicals, whilst being gentle on the skin. Thyme cultivars have been carefully balanced to provide the most effective components of both Tea Tree oil and Thyme var Linalool, with an antimicrobial effectiveness greater than either individually offers. Benchmark Thyme is a synergistic blend proven to kill MRSA in-vitro. It is less of a skin irritant than other effective anti-bacterial essential oils.